We don’t know about you, but we love a good Irish Coffee, or anything of the sort. This is where one of our hometown favorites, Park on Fremont, came in clutch this year with the perfect winter accessory. 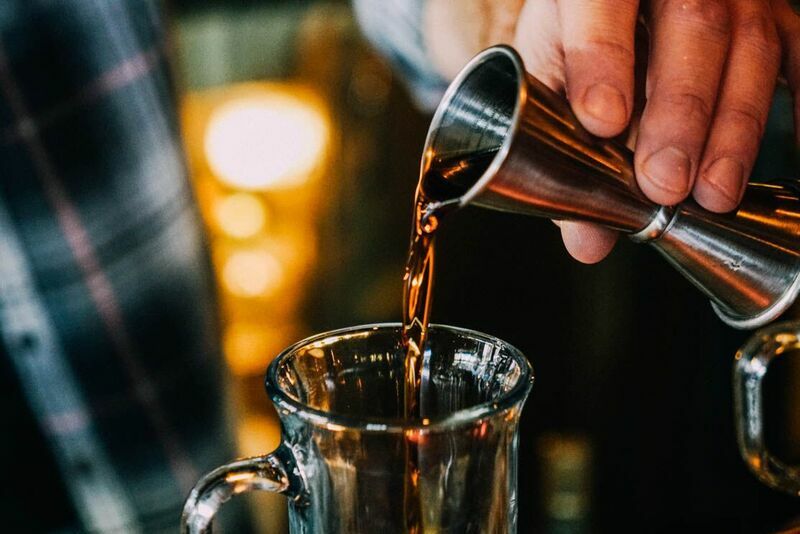 Yep, you guessed it, a seasonal cocktail menu entirely devoted to spiked coffees. 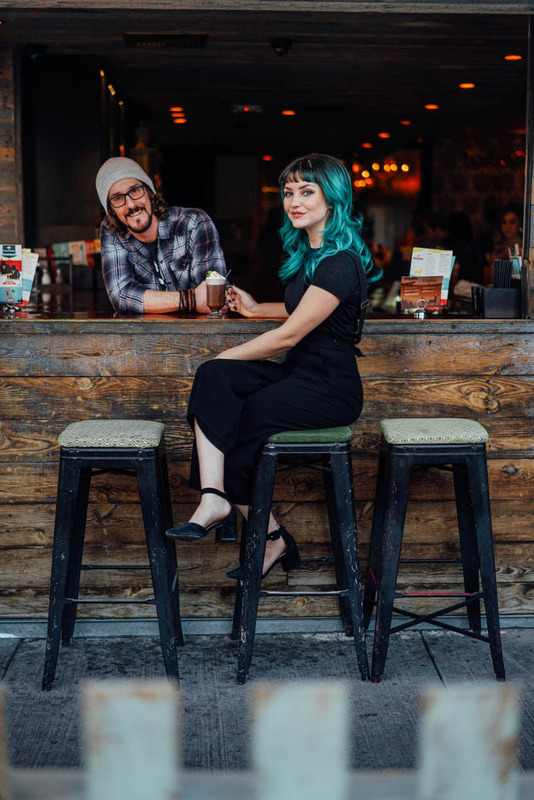 We sat down with our new pal Doug Linton, who’s been mixing things up at Park on Fremont for a little over a year now, to discuss the newest drool-worthy menu of his own creation. A little more about Doug: He’s been bartending for about eighteen years and moved to Las Vegas seventeen years ago from Michigan. Since relocating, he’s worked at the famous Palms Casino, Mandalay Bay, and beloved Honeysalt in Summerlin. Being given creative freedom and the reigns to curate the perfect coffee-based cocktail menu, Doug certainly rose to the occasion. Four of the five cocktails featured on the menu are of Doug’s creation, with the exception of the Dirty Girl Scout, which was created by Ryan Doherty. “To me it’s one of those things where the reason we even wanted to come up with the menu is to make people feel cozy and warm. You know, to have someone come in and have something warm to remind them of their childhood, or a simpler time, something like that.” says Doug. Doug’s favorite, the S’more, happens to be the first cocktail of the menu that he came up with. With the Pumpkin Spice and the Salted Caramel, he tuned in on the popularity of the two flavors during this time of year, specifically. And of course, with the Spiced Irish, Doug didn’t want to blend in to the norm or basic Irish Coffees, so he added a spicy Rumchata twist to this classic delight. To start with The S’more, this toasty and decadent treat features 360 Double Chocolate Vodka and Monin Toasted Marshmallow syrup, and is topped with whipped cream, a chocolate drizzle, and graham cracker crumbles. This was also Robiee’s favorite. Next we have The Salted Caramel. One of the most celebrated flavor combinations, the Salted Caramel, of course, is mixed with Pinnacle Salted Caramel Vodka and Kahlua Salted Caramel, half and half, and is topped with whipped cream, a caramel drizzle and a pinch of salt. Yum! Onto my own personal favorite, The Dirty Girl Scout. All hail the marriage of mint and chocolate…and vodka. This out of the five, is the only hot chocolate based cocktail. 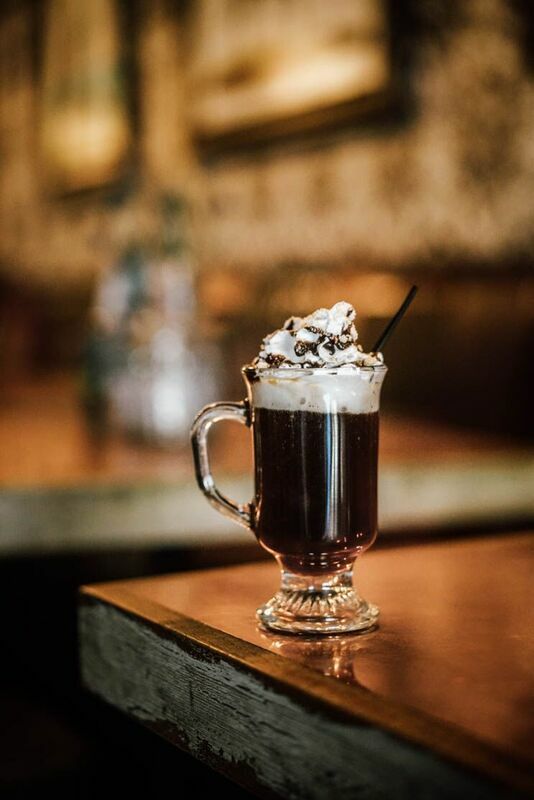 Made with 360 Madagascar Vanilla Vodka, peppermint schnapps, creme de cacao, hot chocolate, and whipped cream, I’ll go ahead and speak for the both of us when I say, just the thought of the decadence is still making our mouths water. Lastly, drumroll please, we have the one, the only, The Pumpkin Spice. Made of cream and spice and everything nice, whether you think the trend is overrated or not, just give it one taste and let each sip envelop your tastebuds in nostalgic, holiday warmth. The Pumpkin Spice is made with Pinnacle Pumpkin Pie Vodka, hot coffee, Pumpkin Real syrup, and half and half, and is topped with whipped cream and a nutmeg sprinkle that gives you that extra kick on the nose. Tis' the season for comfort, so if you decide upon the S'more, The Dirty Girl Scout, The Salted Caramel, or the Pumpkin Spice, your belly will be smiling for you. Drive, ski, or sled to Park on Fremont (we don’t recommend the last two, you will get road rash.) Just make sure you bring your sweet tooth and your sweetie along with. And please, go visit Doug and enjoy one or more of his cozy creations!